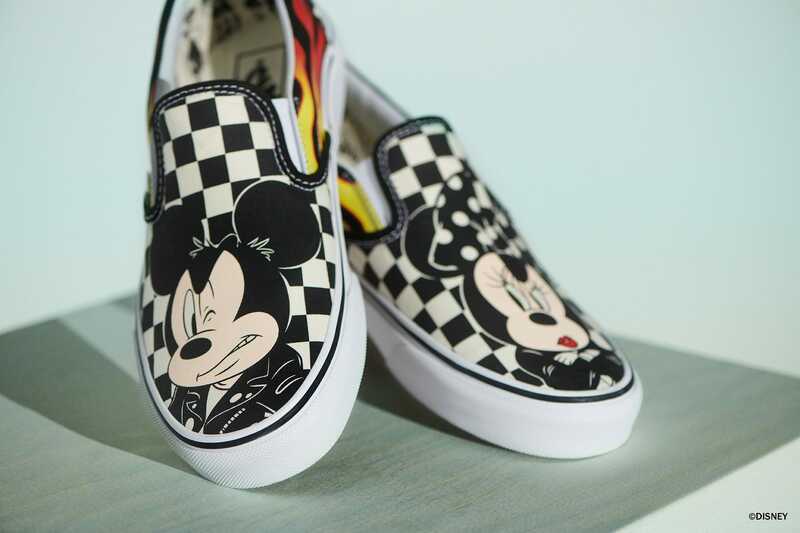 After celebrating the iconic Mickey Mouse’s 90th anniversary last month, Disney is back at it again in teaming up with frequent collaborator Vans for a new collaborative release. 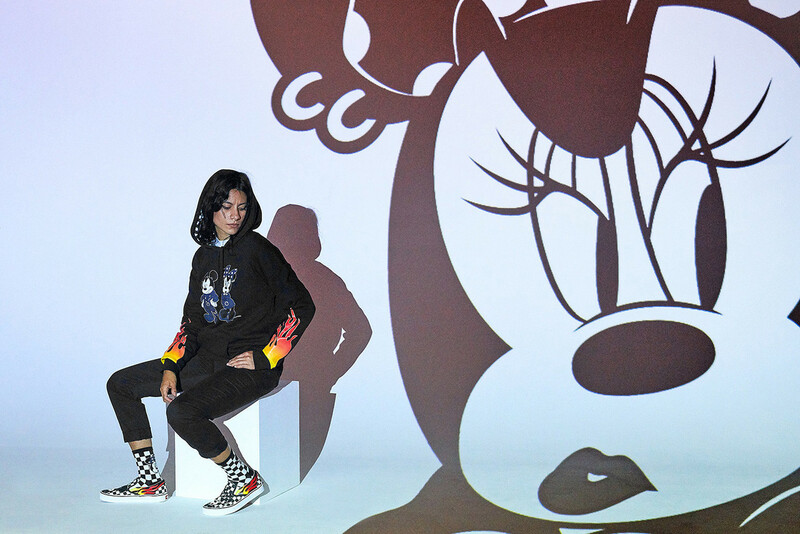 The new collection also pays homage to its staple animated character, and features an expanded selection of silhouettes and apparel pieces referencing Mickey’s onscreen history. 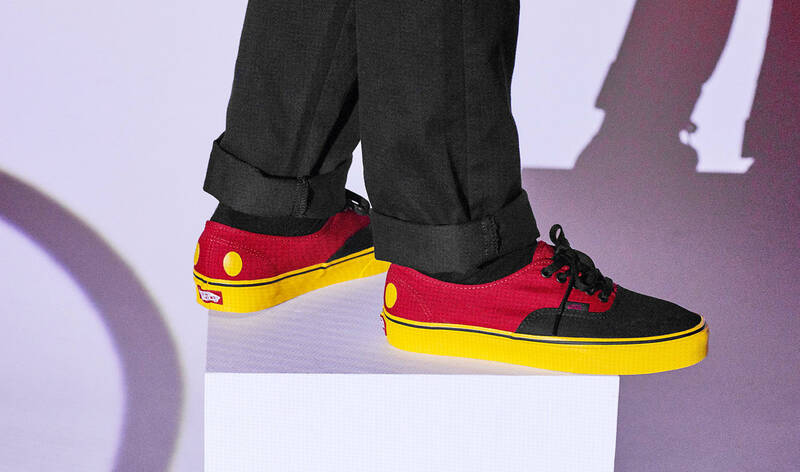 After calling upon artists like John Van Hamersveld and Mister Cartoon to make Mickey-inspired Sk8-His in August, the brand has readied a collection of sneakers themed around Mickey Mouse in film. 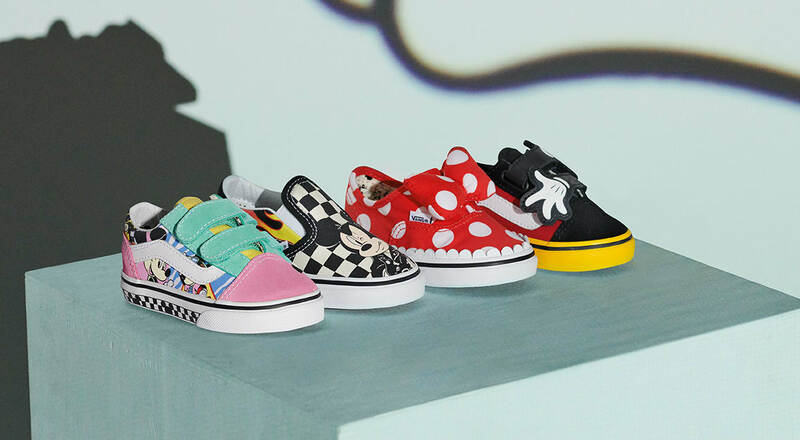 Key silhouettes in the collection include the Vans Sk8-Hi, which comes in a colorway dedicated to Mickey’s 1928 film debut and another design influenced by his role in Fantasia, as well as an Mouseketeer-inspired Old-Skool and a flaming Slip-On. 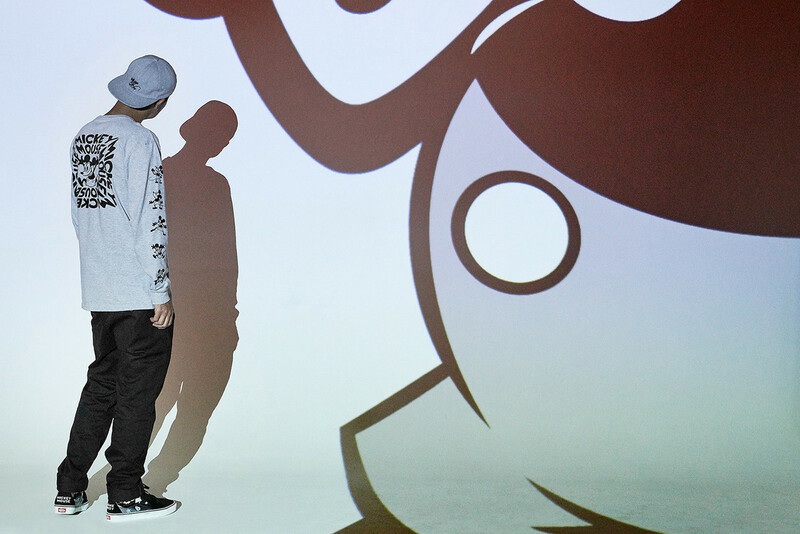 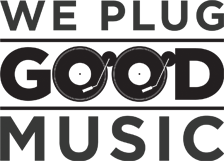 The apparel capsule includes sweatshirts, hoodies and colorful long sleeves featuring a number of Disney motifs. 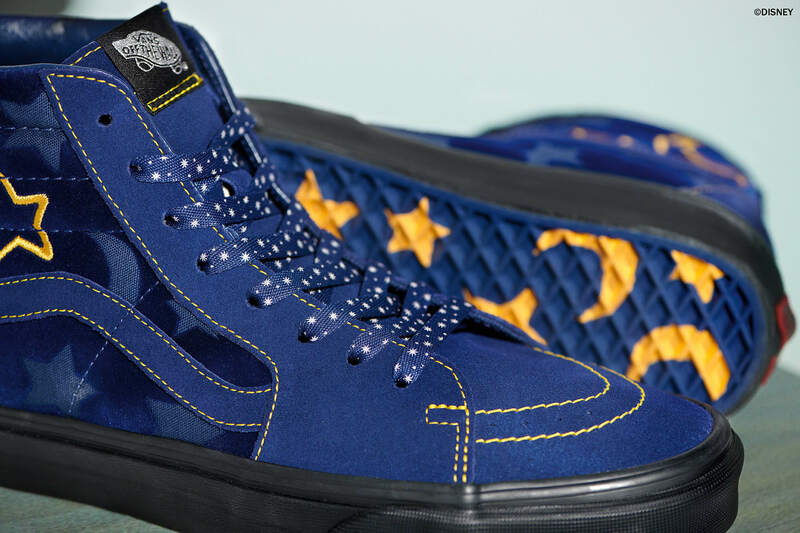 The full collection is set to drop at Vans retailers on October 5.